How secure is your premises? Do you know who has keys and how many? Reliable Lock and Safe can provide you with a Master Key System solution to secure your business with peace of mind. Our Restricted Keying System can provide you with cost effective security and control over who has access to your premises and provides access to your staff and contractors to authorised areas only. 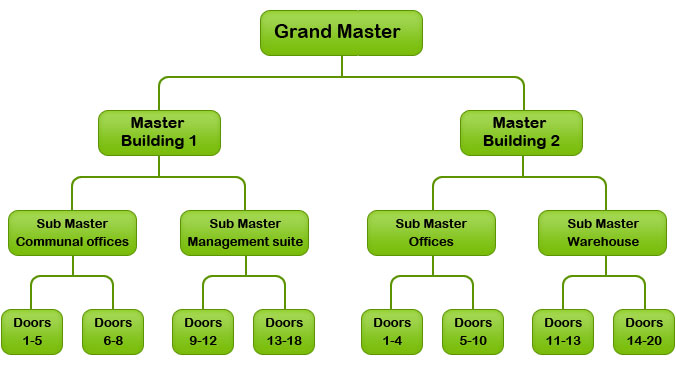 How does a Restricted Master Key System work? A restricted key system is a cost effective and easy way for you to improve the security and restrict access to your premises, providing you with the assurance of key control. Restricted keys are different to standard keys as they are protected by a design registration that prohibits the unauthorised manufacture and duplication of the key profile. Our restricted keying system provides you with the assurance of integrity and key control as additional keys can only be provided once a written request is received signed and authorised by a nominated signatory from your organisation. A further option is to have a multi-level arrangement where certain personnel can order specific keys within the system, or for higher level keys, this may require multiple signatories to authorise additional keys. A restricted keying system is scalable and can be applied to one lock or expand to multi-site or large organisations. Locks can be master keyed to support multi-level access and restrict access to staff members and contractors. Whether you have 5 locks or thousands of locks, our team can develop and install a Restricted Master Key System to suit your commercial security needs.